Denmark has a very high degree of contractual freedom, meaning that, as a general rule, parties are freely permitted to enter into contracts. This is a cornerstone in Danish contract law. Exceptions to the principle of contractual freedom are, as in many other jurisdictions, found in relation to employment law, and consumer contracts with mandatory rules protecting the consumer and employee. Denmark is often wrongly described as a civil law jurisdiction; in truth, the Danish legal system is a hybrid with a mixture of both civil law and common law characteristics. Denmark has no civil code, but has instead divided the most important legislation into specific commercial acts that separately govern fundamental private law topics such as law on contracts and sale of goods. Denmark is a party to the United Nations Convention on Contracts for the International Sale of Goods (CISG), but has made a reservation to the CISG, with the effect that the CISG choice of law rules shall not apply if either the buyer or seller have their place of business in the Nordic countries (Denmark, Finland, Iceland, Norway or Sweden). Historically, this was because the Nordic countries in the early 1900s enacted, among other things, very similar sales of goods acts in order to produce uniformity among the countries; however, with the recent updates to the Swedish and Norwegian sales of goods acts, the reasoning behind the reservation seems somewhat less relevant today. The absence of a civil code has the implication that commercial contract disputes in general are decided by court precedent and with reference to legal theory. The three types of ordinary courts in Denmark – the district courts, the high courts and the Supreme Court – all hear both commercial and public cases. The specialised Maritime and Commercial Court in Copenhagen deals with cases of commercial nature. With respect to court proceedings in commercial cases, the process is based on an adversarial system very much in line with the common law approach, whereas the more active approach from a civil law judge is not the norm in Denmark. Danish courts generally work very efficiently, and it is the norm that you could expect a decision in the first instance within a year from the filing of the complaint. There are simplified rules for small commercial claims, that is claims with a value of up to 50,000 Danish kroner. In recent years, the Danish litigation process has been digitalised, with the Supreme Court and Maritime and Commercial Court being digitalised in early 2018. This means that all procedural documents and correspondence are uploaded to a digital portal and exchanged electronically. Danish contract law operates with one fundamental starting point, which penetrates all the aspects of formation, interpretation, dispute resolution remedies, etc. – that the contract stems from the parties' mutual will or desire to perform obligations in respect of each other. In sales of goods, Danish contracts used to have a reservation on Part II of the CISG but that reservation has now been lifted. Part II of the CISG is now an integrated part of Danish law. As previously mentioned, Danish contract law is based on the principle of freedom of contract in commercial dealings. An agreement or contract is defined as a legally enforceable promise or agreement between two or more legal or natural persons. The contract or agreement consists of an offer and an acceptance of said offer. Denmark does not apply the principle of consideration. An offer is a declaration of will that sets out obligations under which the offeror intends to be bound. The declaration becomes binding when it is sufficiently clear that the offeror making the declaration intends to be bound by it. It is important to distinguish between an offer and an invitation to tender. An invitation to tender will often take the form of advertisements in a catalogue. In these instances, the customer is making the offer to purchase the advertised product. However, case law in domestic cases has established that a price tag in a shop constitutes an offer and not an invitation to tender. The offer becomes binding on the offeror when it becomes known to the offeree. Before this stage, the offeror can withdraw the offer. In order for the withdrawal to be effective, the notice of revocation must reach the offeree before or at the same time as the offer. As most commercial contracts in Denmark are done via email, it is, in practice, often impossible to have a relevant time slip between the dispatch of the offer and the offeree receiving the offer. Outside the application of the CISG Part II, Danish law does not recognise a right to revoke an offer that has been received by the offeree. In order for a contract or agreement to be formed, the offer must be accepted. The acceptance should be the 'mirror image' of the offer. In absence of express terms of deadline for acceptance, Section 3 of the Danish Contract Act states that the offer must be accepted within a reasonable period of time. If the offer is made orally and without a deadline for acceptance, Section 3(2) presumes that the offer must be accepted immediately. The acceptance must correspond with the offer made. If the offer states, for example, that a quantity of products is offered at x price, and the acceptance refers to a lower quantity than offered, it becomes unclear whether the offer has been rejected or accepted partially or fully. Such acceptance will be subjected to contract interpretation. In a situation where there is a problem with the 'battle of forms' (typically conflicting provisions in standard terms), Danish law has a preference for a 'knock-out approach'. If an offer is accepted after the deadline or the acceptance does not match the offer, the offeror is not bound by the acceptance but the acceptance is considered a new offer. There are no formal requirements in respect of contract formation. A contract or agreement does not need to be produced in writing; it can be created orally insofar as an offer was made and validly accepted. There is also no writing requirement with respect to subsequent alterations to an already existing contract. Written and oral contracts and agreements are equally enforceable; however, for evidentiary purposes it is considered wise to obtain written confirmation of an oral agreement. Agreements can be entered into without formal exchange of offer and acceptance. For instance, Danish case law has established that a legal obligation can be derived from the parties' actions meaning that Danish law does acknowledge the existence of quasi contractual obligations. A binding agreement must be met in accordance with its content. the least burdensome outcome test. A purposive approach means the courts will give effect to what the parties must have intended. The courts will look into what was discussed and exchanged during the contract negotiations, unless this is in conflict with the content of the signed agreement. Applying this principle of interpretation has the effect that Danish law does not recognise the common law rule of parole evidence. A contextual approach will seek to apply a more literal interpretation. The contra proferentem rule will often be applied to ambiguous and burdensome terms. The rule requires an interpretation against the party who drafted the term. As most contracts are a result of negotiations between the parties (where both parties have contributed in the drafting), the application of the rule is in practice limited to interpretation of one party's standard terms. According to the least burdensome test, an ambiguous term will be interpreted in favour of the offeror. Where the contract, for instance, stipulates that the goods cost x kroner per pound, however, the contract is silent on whether this means an English pound (454g) or a Danish pound (500g). Applying the least burdensome test the seller would be able to provide the goods in English pounds. Courts favour a holistic approach in which all relevant facts are taken into consideration. As such, no one approach is favoured over the other. The applicable approach will depend on the specific facts of the dispute. The only overriding principle in contract interpretation is the principle of best practice, which leaves a wide scope for the courts to exercise discretion. To the extent that the agreement does not regulate one or more issues, Danish law applies gap-filling rules. The rules that govern the choice of law in contractual disputes are set out in the Rome Convention. Owing to its reservation on the legal cooperation within the EU, Denmark is not a party to the Rome I-Regulation. As such, the law governing the contract will be that of the country that is most closely connected with the contract, cf. Article 4(1) Rome Convention. The presumption is that the law governing the contract will be the law of the place in which the contract is performed (cf. Article 4(2), or that of the seller's, service provider's or franchisee's habitual residence). There is no minimum amount or threshold for initiating a commercial case at the Danish courts. However, cases before district courts that have no economic value or have an economic value of up to 50,000 Danish kroner are subject to the small claims procedure. In such procedure, the courts play a significant role in preparing the case, including providing instruction and assistance to the parties, if they are not represented by an attorney. The preparation of the case is primarily performed by letters with minimal court hearings. The purpose of the simpler small claims procedure is to allow parties to litigate smaller cases with fewer litigation costs, while also allowing non-lawyers to take a case to court because of the assistance provided by the courts. However, the digitalisation of cases, which also comprises the small claims, could have the effect that in the future it will become more difficult to conduct these small claims without the assistance of a lawyer. All three tiers in the Danish court system hear both civil and criminal matters, including commercial cases. One of the two special courts, the Maritime and Commercial Court, hears only commercial cases. Specifically, the Maritime and Commercial Court only deals with cases concerning trademarks, marketing law, commercial maritime matters and international disputes. Choice of court agreements entered into by parties domiciled outside Denmark with the intention of submitting a dispute to a specific or non-specific Danish court are regulated by Hague Choice of Court Convention Article 3 and Brussels I Regulation Article 25. The Hague convention entered into force in Denmark on 1 September 2018. Two parties domiciled in Denmark can agree to submit their dispute to a specific Danish district court, even though that court may not be the correct forum for the dispute. These national jurisdiction agreements are regulated by Section 245 of the Danish Administration of Justice Act. The parties are generally only allowed to choose which local district court will hear the case and thus cannot agree that a dispute shall be brought before, inter alia, a high court or the Maritime and Commercial Court, unless the specific requirements for doing so are met. Mediation has not yet gained wide application and the traditional mediation style in Denmark is a facilitative mediation style. The Danish Arbitration Act from 2005 is based on the United Nations Commission on International Trade Law (UNCITRAL) Model Law of 1985. Denmark is a signatory to the New York Convention on the Recognition and Enforcement of Foreign Arbitral Awards and has been since 1972. The Danish Arbitration Act does not contain formal requirements regarding arbitration agreements or clauses (no writing requirement applies to arbitration agreements). Danish courts take a pro-arbitration approach and accept arbitration agreements on the conditions outlined in the Model Law and accepts the principle of kompetenz-kompetenz (the ability of the arbitral tribunal to rule on its own jurisdiction). The doctrine of severability also exists in Danish law, meaning that an arbitration agreement is not, for instance, affected by the invalidity of the main contract establishing the legal relationship between two parties. A breach of contract arises when a party does not perform its obligations as enshrined in the contract. Whether there is a breach of contract depends primarily on an interpretation of the performance of the contract, supplemented by the gap-filling rules in Danish law. Furthermore, industry-specific common practice will also be a significant factor when assessing the breach of a contract. In Danish contract law, a breach can arise through either late performance, actual defects or legal defects. In commercial dealings there is, in Danish law, a general principle of 'time is of the essence', which leads to late performance in general being viewed as a material breach with the possibility of the party not in breach to avoid the contract. A performance suffers from an actual defect if its physical condition, quality or quantity is inconsistent with the demands set forth in the contract and by applying the gap-filling rules in Danish law. Legal defects concern situations where one of the parties to a contract does not obtain the rights to a service or item, which he or she was entitled to under the agreement, usually because the offeror did not originally have a right to provide the specific service or sell a given item. The liability with respect to legal defects is, under Danish law, a strict liability on an objective basis. In cases of breach of contract, a distinction must be drawn between main and ancillary commitments. This is relevant when assessing the possibility of terminating an agreement. If there is a breach of the main obligation of an agreement, the disappointed party will have the possibility of avoiding the contract. However, if there is only breach of an ancillary commitment, this will only warrant an avoidance of the contract if honouring the ancillary commitment was necessary in order to perform the main obligation of the agreement. Breaching an ancillary commitment will otherwise be sanctioned in another way, typically by awarding damages. Whether performance is defective and thus constitutes a breach of contract must be established at the time of the transfer of the risk between the parties. that the defect was present at the time of the transfer of risk between the parties. Where performance comes in the form of a product, proving that a product was defective will often be accompanied by expert reports from one or more court-appointed experts. Although Denmark is moving towards a more flexible standard where party-appointed experts play a greater role, the main rule continues to be that the court appointed expert will render the decisive expert evidence for the dispute. The theoretical starting point when awarding damages is full compensation. However, in awarding damages for breach, especially in respect of indirect losses, Danish courts award smaller sums of reduced damages compared to many other jurisdictions in order to avoid overcompensating the injured party or claimant in a situation where that party does not have the commercial risk related to performance. The Danish Contracts Act contains a 'general clause' that is used to annul a contract partly or in full, if enforcing the contract would be considered unreasonable. When determining whether enforcing a contract is unreasonable, courts will review the conditions under which the contract was drafted and the contents of the contract. Defences to enforcement by reference to the general clause are as a starting point rarely followed or applied by the courts in commercial dealings. This starting point is, however, modified if the bargaining power of the parties is very different. Limitation periods for a breach of a contract claim are regulated by the Danish Limitation Act. Breach of contract claims are subject to a limitation period of three years from the date when the claim falls due. If the creditor is unaware of the debtor or of the existence of a claim, this may postpone the onset of the limitation period. If the debtor has acknowledged the existence and amount of the creditor's claim in writing, the limitation period is 10 years. The limitation period can be interrupted in a variety of ways, most commonly by the creditor initiating legal action regarding his or her claim against the debtor. The limitation period rules are mandatory, and a shorter limitation period cannot be agreed. According to Danish law, contracts that in nature are contrary to public policy are void. Specifically, these are contracts that concern illegal matters or are inconsistent with the common morality of Danish society. The most common example of contracts that are against public policy include agreements to perform work where the income has not been reported to the Danish tax authorities. Parties to a contract can validly agree to limit their liability in commercial contracts because limitation of liability is not regulated in the Danish Contracts Act. 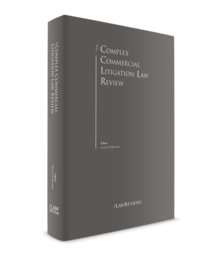 Limitation of liability is often stipulated in Danish commercial contracts in order to exclude, for instance, indirect losses. Even though limitation of liability clauses are generally valid, they risk being set aside by the courts if the clauses are deemed to be too extensive and thus unjust. However, when entered into by two professional contracting parties, the threshold for setting aside a limitation of liability clause is very high. However, such clauses are often interpreted in Danish case law not to apply in situations where the party seeking to rely on the limitation of liability clause has acted with intent or with gross negligence. Danish courts recognise the principle of force majeure. The performing party will be exempt from liability where the performing party cannot perform its obligations owing to circumstances that were unforeseeable by the said party. Typical force majeure circumstances include, as in other jurisdictions, strikes, crime, acts of God, riots, etc. Danish courts do not, in general, accept 'economic force majeure' where the performance is possible, in principle, but will put a financial burden on the performing party that materially deviates from what was expected by that party. In Danish law, it is accepted that an aggrieved party could have courses of action (tort-based) in addition to arguing contract-based claims. Good faith in commercial dealings is a part of Danish contractual law, but it is rare that breaching the principle of good faith will lead to avoiding a contract. Good faith is more often applied to support, for instance, a specific interpretation of an agreement. The competing courses of action would typically be concepts that could invalidate the agreement, for instance fraud. A contract can also be declared invalid on the grounds of failure of basic assumptions, which covers all cases of misunderstanding or misrepresentation and changed circumstances. There are generally three conditions that must be fulfilled. First, the assumption must have been determined for the promisor's act or representation. Secondly, it must have been known or discoverable for the promisee. The third condition signifies a consideration of who the risk of the failing assumption should rest with. To claim a failure of assumption, the risk must fairly rest with the promisee. These competing courses of action are often applied in situations where a party could have lost the right to present a contractually based claim owing to late notice regarding said claim. If a contract is declared invalid, the entire contract, or parts of the contract, can be annulled. If a contract is annulled, the parties to the contract must return or restore any services provided in consequence of the contract. If a contract is invalid, neither the promisor or promisee is entitled to claim damages. However, if the promisee has acted culpably as a result of tortious conduct, the promisor may claim compensation for expenses incurred by the promisor while acting under the impression that the contract was valid. As a fundamental principle in Danish contract law, where a contract is breached the party not in breach is entitled to the full satisfaction of the contract. As a result, a creditor is generally always entitled to specific performance, which means that the party in breach of contract is ordered to perform their contractual duty. However, the rule is not often used in practice, at least not in situations where the product to be delivered is generic. A party applying for specific performance could lose a right to claim damages, if that party has not sought to mitigate its loss, for example, by contracting with a different supplier for an alternative product. No one is obligated to perform the impossible, and as such, a creditor cannot demand specific performance if the contractual duty is impossible to perform. If the subject matter of the contract (i.e., service or product) no longer exists or is impossible to provide, it is meaningless to enforce performance, and therefore, the remedy is either damages or rescission. There is no right to specific performance if the cause of the breach of contract was an incident of force majeure; nor is there a right to specific performance if the contract is void, either because of the circumstances when entered into or the content of the contract, or if the contract is unenforceable. Finally, it should be noted that specific performance is not available in cases where the delivery is based on a personal performance by the other party. This will generally be the case where services are to be provided. In these cases, the other party must resort to damages as the relevant remedy. Avoidance is an extensive remedy and is often viewed as a 'last resort' to redress a breach of contract. It is not sufficient that the contract is merely breached by the contracting party; there must be another qualifying factor that can justify the rescission of the contract, and the restitution of any delivered product or service. in circumstances where there is no defined basis for avoidance, the breach of the contract qualifies as a fundamental breach. A mere breach of contract is not always sufficient to justify that the party in breach must pay damages to the injured party. Outside the CISG and the Danish domestic Sales of Goods Act, the party in breach must have acted in a culpable manner. Danish law applies the generally well-known concept that the loss must be foreseeable. Denmark does not apply a principle of punitive damages but awards compensatory damages only. The burden of proof regarding damages in contract is on the injured party. Damages in contract can be divided into two subcategories: expectancy damages and reliance damages. The aim of expectancy damages is to position the injured party as if the contract had not been breached and the contractual duties were performed in accordance with the contract. As a general rule, the injured party is entitled to full compensation for any provable loss. Reliance damages, on the other hand, aims to set the parties as if the contract was never entered into by either of the parties. Most often, the injured party sets forth a claim of expectancy damages, as the damages will include any provable loss of profits. However, as mentioned above, Danish courts award a comparably lower amount of damages, taking into consideration the commercial risk that the injured party no longer suffers. Contract provisions on limitation of liability on damages are, as a general rule, always valid. This brings us back the principle of contractual freedom; the provision has been subject to negotiation between the parties and should therefore be upheld. Especially with respect to such provisions being a part of a standardised contract, these are, as previously mentioned, interpreted in such a way that they do not apply in cases where the defaulting party has acted with intent or grossly negligent. Other exceptions to the general rule are made if any doubts can be raised regarding either the validity of the provision, or whether the provision was actually agreed. The requirements for validity differs based on whether the provision can be said to be unusual if the provision concerns direct or indirect damages, whether any consumer protective legislation applies, etc. Neither case law nor legislation dictate which remedy a creditor is obligated to apply for. Therefore, a creditor might just as well avoid the contract if the criteria are met rather than demand specific performance. However, parties often agree upon accessible remedies in the case of a breach of contract. With its high level of contractual freedom, limited only by essential safeguards against abusive and illegal contractual relationships, Denmark is a liberal venue for entering into business relationships. This well-maintained balance between freedom and limitation in contractual relationships is coupled with an efficient judicial system in which claims can easily be brought regarding commercial claims. Danish courts value efficiency, transparency and fairness and are not biased against foreign parties. A significant development in commercial litigation is, as briefly mentioned above, the recent development and implementation of a new digital portal for handling civil cases, which has been implemented by all Danish courts. This digitalisation of Danish courts represents an important technological and administrative shift in Danish commercial litigation procedure, as all communication between the parties and courts must be performed via the digital portal. All commercial litigation cases and taking of evidence cases are initiated and processed through the digital case portal. Civil litigation cases are processed digitally only and as such do not exist on paper. Cases must be filed, documents must be uploaded and messages to the courts must be sent using the digital case portal. The digital case portal is also the only place where parties to a case can receive and read messages from the courts and other parties. Further, the digital case portal also has a notification system that automatically notifies the parties of approaching deadlines for submission of documents or payment of court fees. 1 Dan Terkildsen is an attorney-at-law at Lundgrens Law Firm P/S.